Do you love me, yes or no? Some questions are more important than others. I’m sure you’ve noticed this in life. When my daughter was old enough to write sentences, (about 4 – she was in the first grade when she was 5). Whenever she thought she might be or did get into trouble I would find a folded up piece of paper with the same question on it. There were always two boxes that she would add and I always had the choice of putting an “x” in either box. 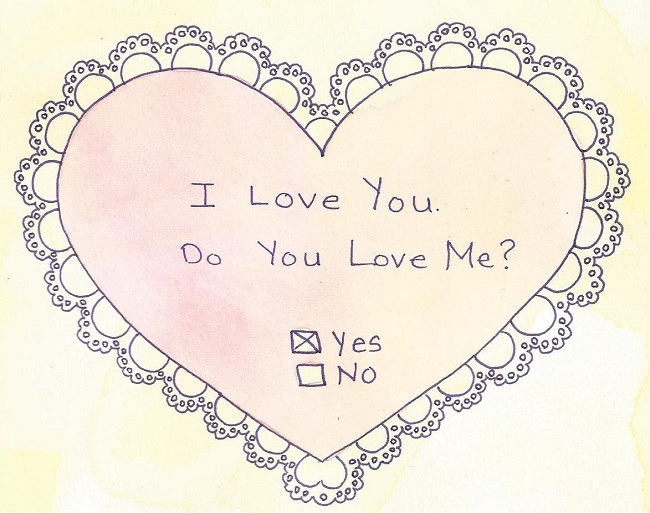 Of course I always marked the ‘yes’ box. These notes continued until her teens at which point she determined my love was “unconditional” for the rest of our lives. Of course. My point here “Unconditional Love” is so incredibly important in life. You see, it’s that other box and the potential of a “no” that can be so frightening for a child. Love should never be used as a leverage point. There should be no doubt! 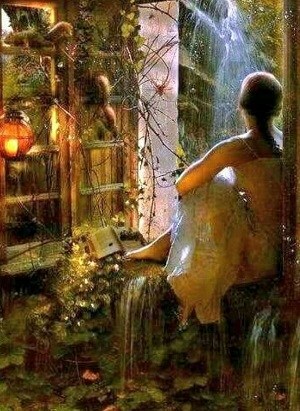 And yes, as an adult loving unconditionally, does lay you open for potential hurt, but it is still the only way that love should be given – unconditionally. Life is too special for any other answer! I DO LOVE YOU PENNY! Ha ha ha! My oldest son has the habit of writing little notes tucked under my pillow anytime he misbehaves and I scold him!. Thanks LuAnn, as you can see I’m online right now, but it has been busy, doing a lot of writing (on the side right now) and of course family (and visitor) type things too! All is well,and I am hoping all is going well with the two of you! Agree so much with you and my children know that too! Sigh … thank you. like you, I have days when a simple yes like this one does just hit the spot (that was needed) Roxi! Life is as simple as that but it all comes with age and experience whereas it should be taught from the childhood. You have such a wonderful and talented way with words. Been reading your work and LOVE IT! Very inspiring. Hi Millie, thank you so much. It is a pleasure for me to write and make a positive difference, as I can, again most sincere thanks. You are inspirational. Keep being the light for others. Thank you for sharing. xxxxxxxxxxxxxxxxxxxxxxxxxxxxxxxxxxxxxxxxxxxxxxxxxxxxxxxxxxxxxxxxxxxxxxxxxxxxxxxxxxxxxxxxxxxxxxxxxxxxxxxxxxxxxxxx a little kiss overload for my good good friend!!!!! I’ve always thought unconditional love should be reserved for only those few who have earned it, but you got me thinking — how does one go about ‘earning’ unconditional love ? And, it may very well be that the only true love is the unconditional kind.